Piano Opening Hours: Daily 24/7. 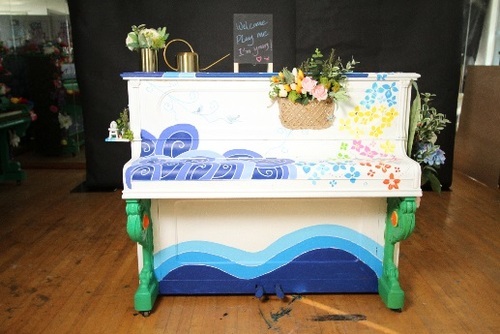 The original piano at this location was donated to Dominic Harrison and decorated by Sogech ‘Amoon’ Chhourn. 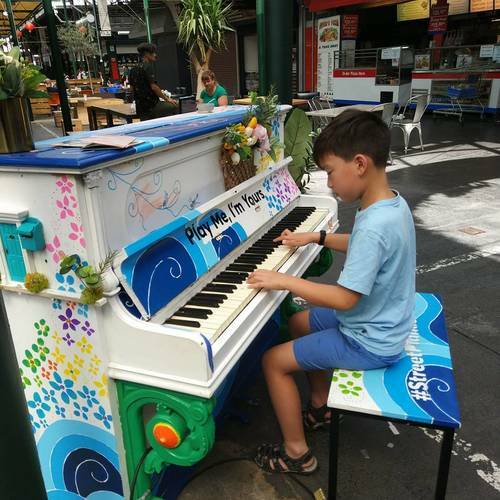 However, at the end of the presentation period this piano was donated to a local community group, and it was replaced by the Flinders Station piano which was donated by Gavin Gray and decorated by Bea Bayes and Ella Bayes. Hosted by Preston Market. 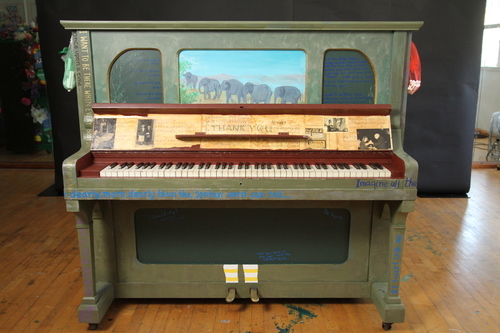 This is the piano that is now at this location. This is my beautiful best friend, Ben... tinkering away on a Sunday morning at Preston Markets! 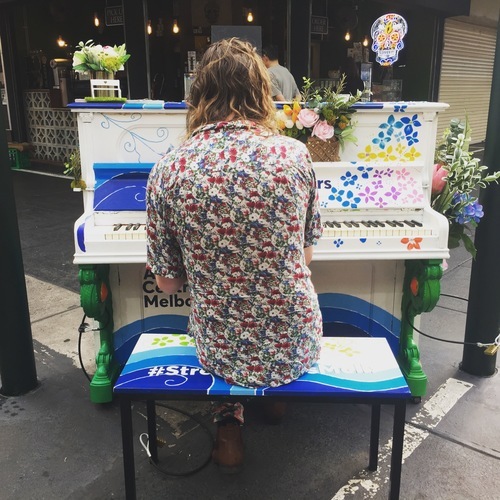 I love how his shirt fits perfectly with the design on this piano! Sogech Chhourn (‘Amoon’) is a newly-arrived Cambodian artist currently living in the south-eastern suburbs of Melbourne.